Mark is a singer/songwriter from Pittsburgh, PA. He has opened for country legend George Jones twice at the Pepsi-Cola Roadhouse. He has also opened up for country artist Keith Anderson and Van Zant. Mark has recorded three studio albums and has his music played all over Pittsburgh and national radio. Mark’s music has been played on Froggy, WDVE, The Rock Station, and KDKA talk to name a few. He also has performed live on those stations as well. Mark recently wrote a Pittsburgh Fight Song titled, “Black and Gold”. This song has been played before Penguin Playoff games on WDVE and The Rock Station. 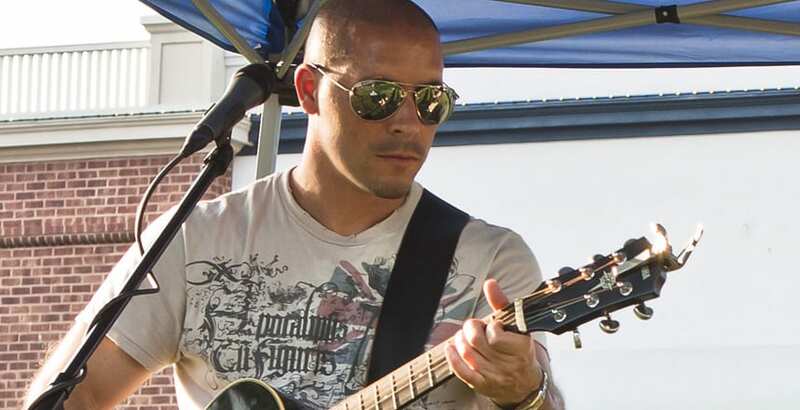 Mark has performed all over the tri-state area and at the Seven Springs Wine Festival.